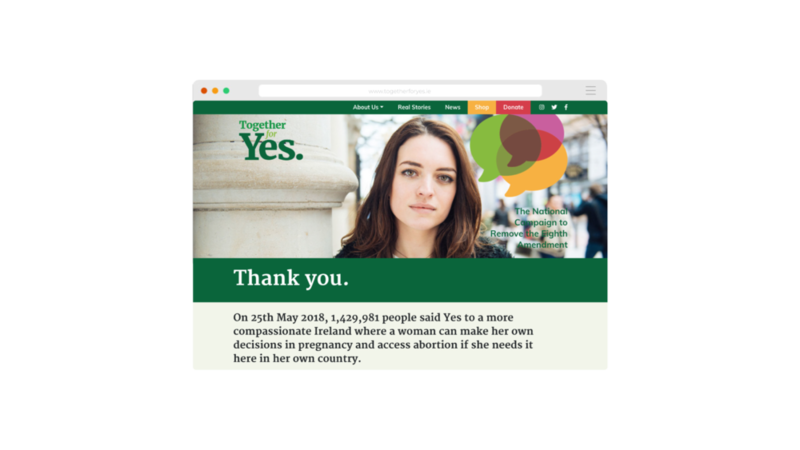 On 25th of May 1,429,981 people voted YES to repeal the 8th Amendment 35 years after its insertion. It was an honour to design the visual heart of this robust, transformative and touching campaign – the fact that it was won by a landslide 66% was the cherry on top. 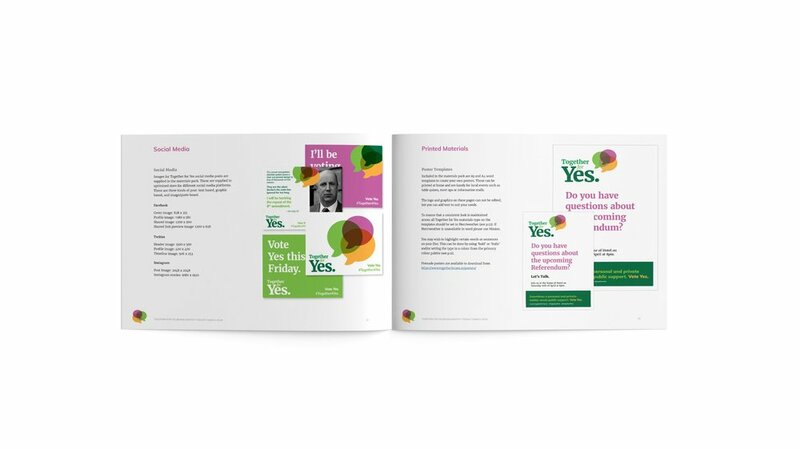 In addition to designing the identity system and guidelines document, managing the team producing the collatoral roll out – including an eight-page leaflet delivered to every home in Ireland – I also commissioned and art directed photographer Ruth Medjber to shoot the campaign portraits to represent a cross section of Irish society.